Hello! Ardyth here with a very simple Halloween card using the new Who's There Cover Plate from the Kind of Batty release. 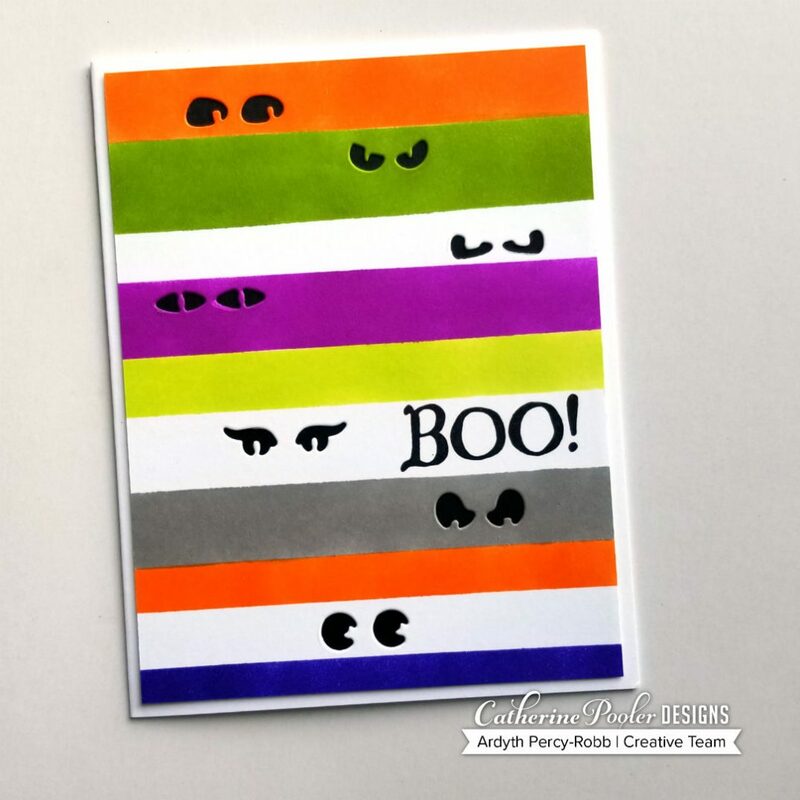 I just love all those spooky eyes looking out of the card! I started by cutting a panel of white cardstock with the cover plate. Then I used Post-it tape to mask off straight horizontal lines before using a mini ink blender to apply inks in different shades of Halloween colours. The strips are all different widths, depending on the placement of the next set of eyes. Each set of eyes got his (or her!) own colour and I left a couple of them blank to keep some white space on the card and to have a space for my sentiment. When I finished the inking, I stamped the sentiment with Midnight ink, and then backed the panel with a slightly smaller piece of Midnight cardstock. This gave my panel a bit of dimension (as an alternative to using foam tape), but if you wanted to conserve paper, you could either inlay the eyes or just colour the appropriate portion of the card base.